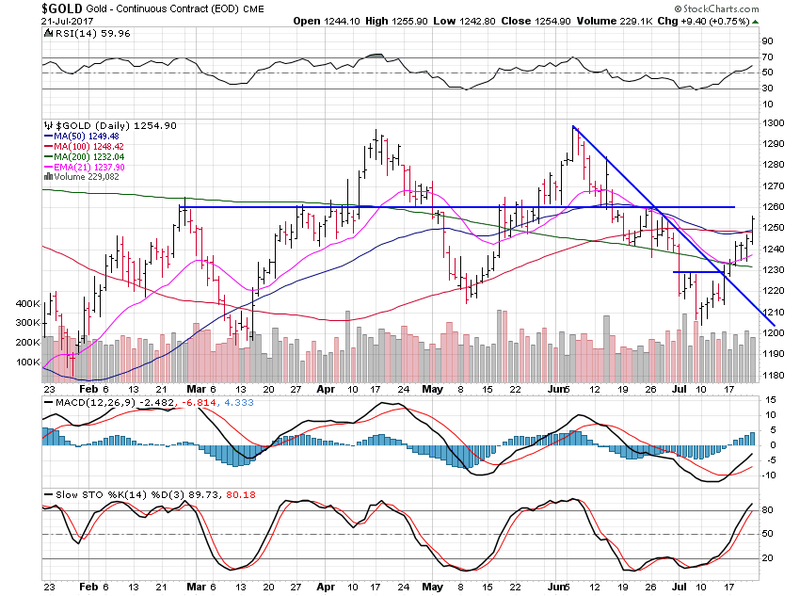 Precious metals continue to rise and are accelerating now past resistance levels nicely. Consequently, I remain much more focused on leading stocks, which are breaking out, but not those coming out of corrections as the miners are. Nearly everything, including the precious metals, are working well. Therefore, enjoy it for as long as it lasts. Gold gained 2.23% this week - and moved nicely past the $1,250 resistance area where the 50 and 100-day moving averages sit. We should see this move take us back up to the $1,300 resistance level over the next few weeks. 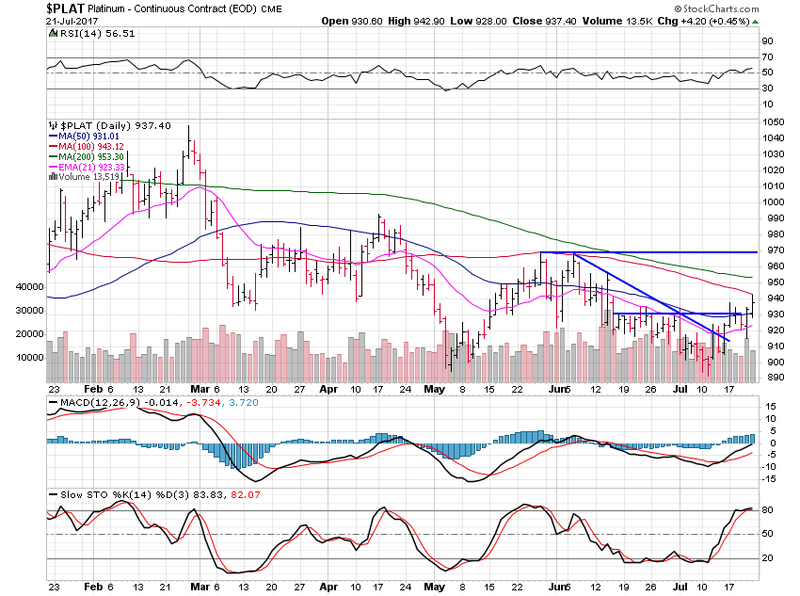 Silver tacked on 3.29% and should continue higher to $17.75 over the next few weeks. 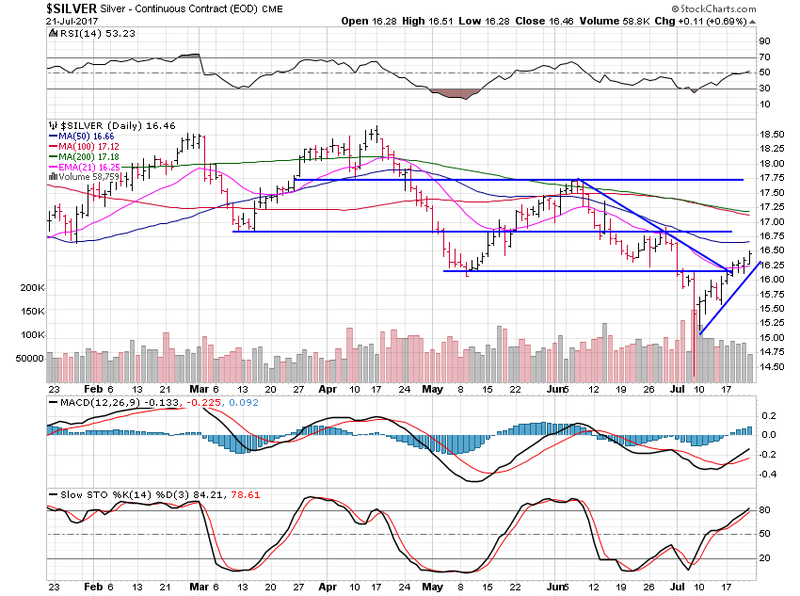 Silver has some resistance at $16.80 and $17.20 but it does look good and is acting fine for now. Consequently, I am more focused on other sectors right now. There is good money to be made in the metals right now…but I try to trade the stocks which can move the fastest. Moreover, I’m not sure the miners are that sector at the moment. 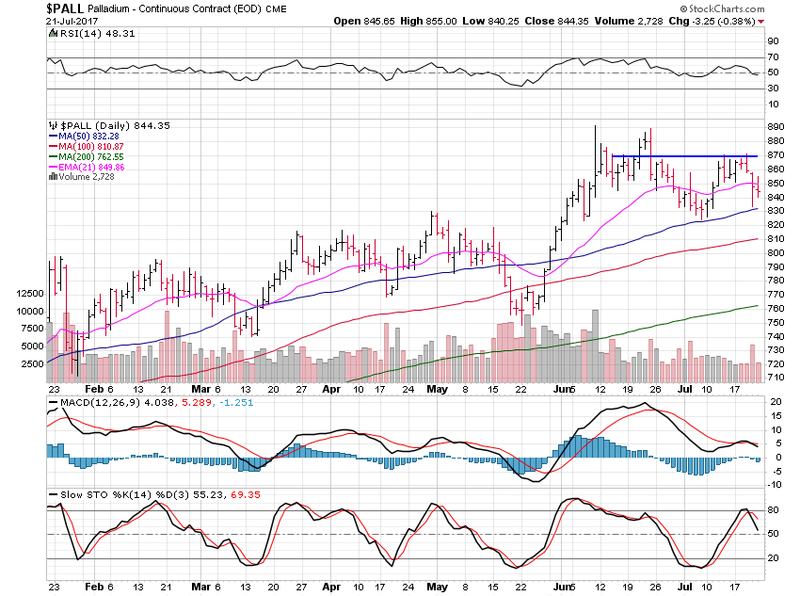 Platinum gained just 1.51% this past week but looks good for higher. Platinum is just breaking out above the $930 level nicely…and should see $970 on this move. Palladium was the sole loser this past week…falling 1.45%. Palladium needs to move above $870 to get any real momentum higher…while a break of the 50-day moving average at the $830 area would forecast more weakness. Palladium has been trading in contradiction to gold, silver and platinum - and that trend seems set to continue. Have a lovely summer weekend and enjoy the market strength while it lasts.